Your home is the largest investment that you will make in your life. As with any investment, you want to make sure it is taken care of right. Whether it is to build a new home or repair an existing roof, you want the experts from Roofers Richmond Hill. Good roofing can be done by anyone with the right amount of time and money. We at Richmond Hill believe that you deserve better. We take roofing out of the realm of construction and into being an art form, because that is where it needs to be. It doesn’t matter how beautiful your home is, the wrong roof can make it look downright ugly. The right roof will show everyone everyone on the block that your house has got the juice. Our roofers at Roofers Richmond Hill will be with you in every step of choosing the right asphalt shingle for your home. There are many things that you need to consider when picking the right asphalt shingle. The most prominent thing that comes to mind is the color. Are you looking for a shingle that will contrast and frame your home, or are you looking for more of an accent to your home’s natural beauty. With the large selection of colors available, you are no longer stuck in the familiar grays and browns. Let one of our roofing experts help you along the way. Maybe you want to add more texture than the bland, flat roof. By choosing a thicker shingle you can add a layered dimension to your roof, showing off a unique style and finesse that isn’t seen in your everyday home. Of course, style and beauty aren’t the only things that you need to consider when choosing the right shingle for your roof. The climate is an important thing to consider. How much rainfall is normally expected in your area? How much wind? These factors could add extra wear to your shingles, shortening their life unless they are made extra durable. With all the snow we get, it is important to get a strong shingle that will pass the test of our 4 seasons. Once you have found the perfect roof, you don’t want to have to change it any sooner than necessary. Whether you are concerned with protecting the environment or just don’t want to spend any more on your energy bill than necessary, everyone wants a home that is more energy efficient. Your roof can help achieve this goal by choosing a shingle with specially designed granules that help to reflect the suns beams. 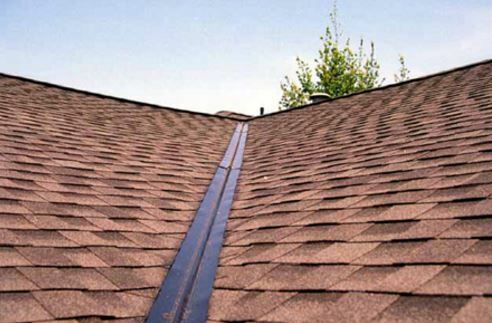 ​With so many options available, you will have a lot to talk to our roofing experts about.